Be the first to share your favorite memory, photo or story of Opha. This memorial page is dedicated for family, friends and future generations to celebrate the life of their loved one. 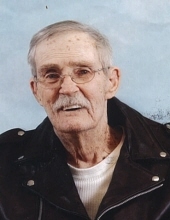 Opha “Quinton” Roberts, 83, of Welch, WV passed away Friday, February 8, 2019, in the McDowell Nursing and Rehabilitation Center in Gary, WV. Quinton was born August 30, 1935 in Paynesville, WV, a son of the late Iaeger and Anna Kennedy Roberts. Quinton was a truck driver and a mechanic. He loved his family and friends and was of the Church of Christ Faith. Quinton never meet a stranger and always had a smile on his face. In addition to his parents Quinton was preceded in death by two sons, Ricky Roberts and Opha Roberts; a daughter, Darlene Coburn; two brothers, Charlie and Donald Roberts; and six sisters, Octavia Collins, Delphia Druggish, Mary Christian, Mattie Reed, Lilly Powell and Cora Roberts. Survivors include one son, Jimmy D. Roberts and wife Sandra of Welch, WV; three daughters, Christine Roberts and Robert McIntosh of Statesville, NC, Maxine Jean Roberts of Welch, WV, and Melissa Kelly Roberts of Lecanto, FL; one sister, Sylvia Church of Beckley, WV; special friend, Deborah Bowman of Welch, WV; a special companion, his fur baby, Chico; eleven grandchildren; four great grandchildren; three step grandchildren; and a host of nieces and nephews. Funeral services will be conducted Sunday, February 10, 2019, at 1 o’clock with Reverend Mike Church and Speaker Chad Estep officiating at the Chapel of Fanning Funeral Home in Iaeger, WV. Friends may visit with the family, Sunday, February 10, 2019, from 11 until the time of services at 1. Following these services Quinton’ s body will be cremated. In lieu of flowers the family has requested donations to be made to Fanning Funeral Home in Iaeger. To send flowers or a remembrance gift to the family of Opha Quinton Roberts, please visit our Tribute Store. "Email Address" would like to share the life celebration of Opha Quinton Roberts. Click on the "link" to go to share a favorite memory or leave a condolence message for the family.